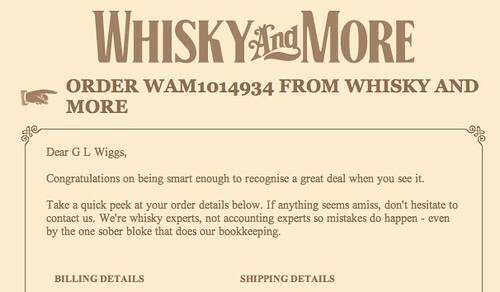 Whiskey and More, which I just discovered today, does a nice line in online retail experience. The site is simple, the checkout smooth and the prices low. 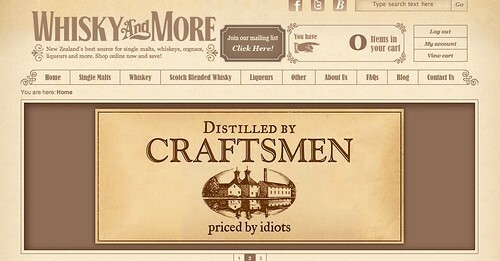 So low that, purely in the interests of online retail experience research, I was forced to stock up a little. I hope the stuff turns up.